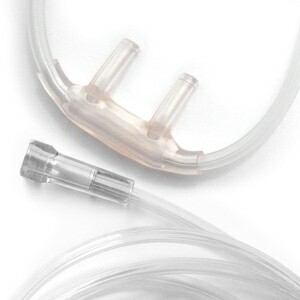 With the 16SOFT Salter wasn't content to improve just the cannula's tubing and faceplate; they also redesigned the bolo to resist twisting while maximizing comfort and wearability. 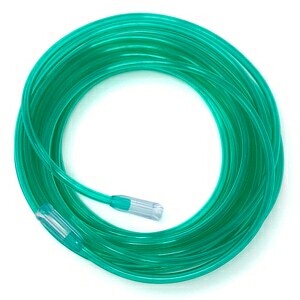 16SOFT cannulas include a standard oxygen supply tubing connector end so they're easy to attach to longer tubing when necessary. Every inch of the Salter-Style 16SOFT Nasal Oxygen Cannula is designed to bring a touch of comfort and softness to oxygen therapy. No wonder Salter's 1600 series are the cannulas most often worn by long-term oxygen patients. You get your on time. First time customer purchase was for G-4 Inogen concentrator. Asked about frequency of changing nasal cannula? Was given information that was based on user comfort. Also was given information on other options. I would consider them for additional equipment that my wife is going to need. This is a great cannula for those who don't like longer prongs, or the straight prongs. This cannula with the curved short prongs works wonderful for me! 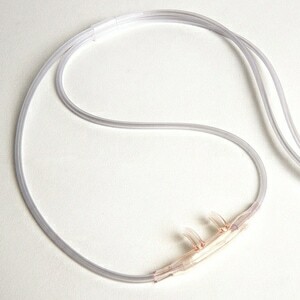 This size cannula is the perfect length for my Inogen G3 as well as my small shoulder carry tank that I use at times. Plus the shape of the nose outlets give me a really nice feeling once in place. The tapering or rounded head on the tips are a big help. The tubing was so stiff it would pull the cannula out plus where the prongs are was so thick I felt like I could not breathe. Should have ordered my usual and saved my money. Just as advertised. Very prompt service. 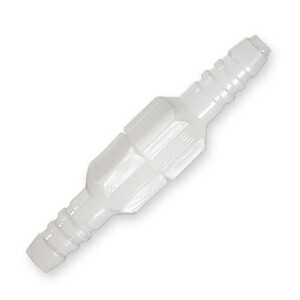 The condensation catcher is of a good quality and not as easily to come apart unknowingly. The salter cannulas are much more comfortable. Finding it all here in the same place is a gem. Had exactly the length I requested, at a great price ... AND with free shipping! Will order all of my supplies from Direct Home Medical. Thank you! Strong, unbearable chemical odor makes them useless to me! Exactly what I was after and delivered as promised. I will be back. I love these cannulas. They are soft and do not leave marks on my face like the harder ones do. Also the cannula is not so wide that it pushes on the inside of my nose. I think most adult cannulas are made for men with great big honkers! great place to do business prompt and efficient! will buy from again. I love it because the line on your face is soft and flexable. that makes it less presure or binding on the face. I have used tons and yet end up coming back to these. Fast service. Got what I ordered. Just as advertised. All good. Fast. As Advertised. No substitutions. I would rate product a 5 if it wasn't for the fact that the plastic slide loosens almost immediately making me have to tighten it constantly. It is a well made product in other aspects. I do prefer the Salter over other brands and types tried. The Salter cannulas are very soft and don't have that awful chemical smell some other brands have. I just find that the piece under the nose is very large and, therefore, very visible. Will never buy anything else! Good product shipped quickly! I find these to be much more comfortable than the ones my insurance covers. DirectHome has been very responsive and pricing is very competitive. Rapid delivery of products. This particular Salter product is about the softest (nasal end) on the market and lasts a very log time before replacing. IF YOU HAVE TO USE A CANNULA, USE A SOFT ONE! Much more comfortable than the cannula I get from Apria! I found the 165SOFT 7-foot cannula to be awkward to use while exercising, specifically on the shuttle slide. The 4-foot is just long enough to reach my exercising position; however, not so long as to get in the way. Exactly what I ordered. Received in a reasonable amount of time. I use with a POC in a backpack and the 4' length is the perfect length for that. Canulla is soft and supple. Great service. Very quick delivery. Very comfortable cannula. Will buy again. Excellent customer service. I ordered these because I wanted a softer than a cannula then what I am provided by Apria. This cannula is exactly what I wanted but the problem is at the point that cannula joins the tube it is constantly twisting and cutting off flow of oxygen. This is the softest on the market. Very easy on the tender tissues. Good product. I received exactly what I ordered and in a very timely manner! I plan on using them again. I highly recommend this company. I love the softness and how it doesn't irritate my tiny nose but I'm constantly having to untangle it. I think it's just the way it is. I really liked the 4 foot instead of the 7 foot as I am under 5 feet tall. I liked the way soft tubing felt on my face and ears. But I expected one to last at least 4 weeks and it only lasted 2 weeks until it was falling out of my nose because it had stretched out of shape. Good cannulas, very soft around the ears. Arrived earlier than expected. Great transaction. Product is very comfortable and effective. The 4 foot length is much easier to use with the handle carry concentrator that I use. Received order exactly as placed.Quality good and shipping right. My 86-year old mother finds other styles of cannulas uncomfortable and irritating. Salter-style is great and these have a very soft pliable tubing that also doesn't leave dents in her face where it touches. We're very pleased! I am very happy with this product. For the longest time I have used the standard cannula which caused sores in my nose, because the nose peice was very stiff it rub so bad while I wore it. these are priced really well i can change as often as i need, not tempted to clean...these are delivered rapidly and resonably priced. I love these soft cannulas with the stretchy tubing. With the old stiff ones if I got it caught on something it would about tear your nose off. With these soft ones, problem solved. Thank you from a devoted customer.